by Dorothy L. Sayers ; introduction by P.D. James. London : Folio Society, 1998. 5 volumes (various pagings) : illustrations. 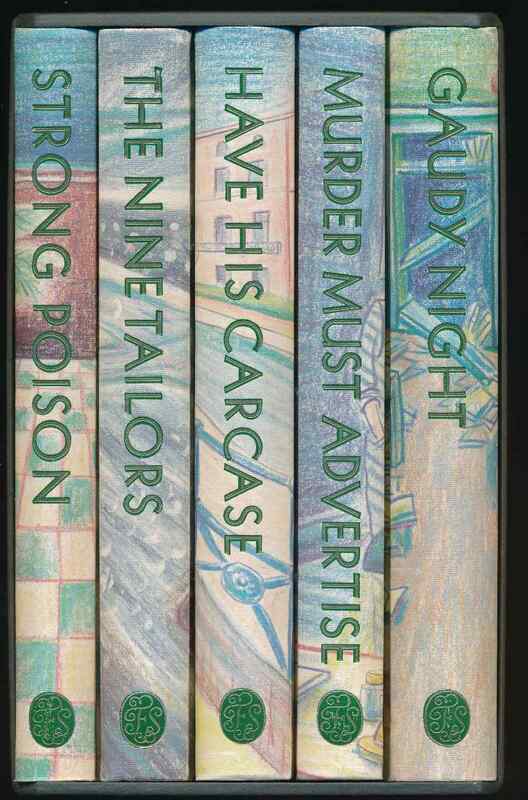 Five of the Wimsey novels: Strong poison; The nine tailors; Have his carcass; Murder must advertise; and Gaudy night.